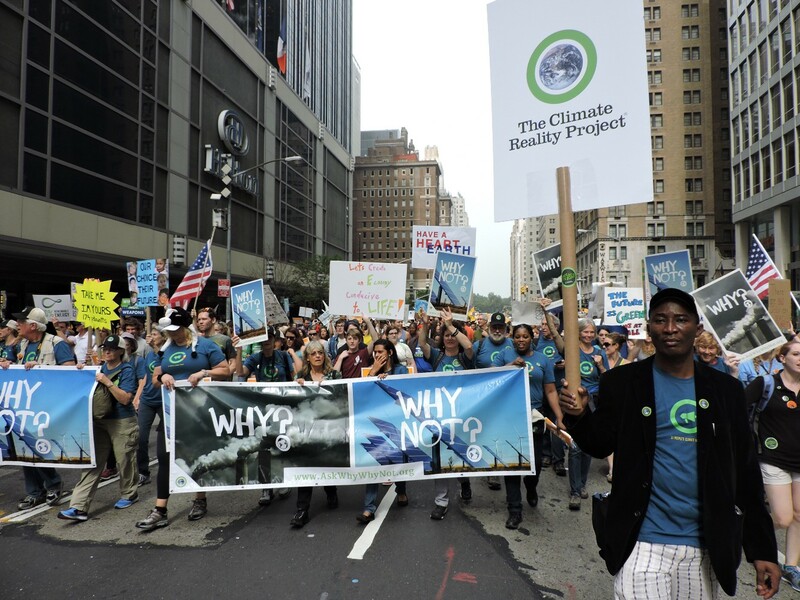 In the wake of the 400,000 strong Climate March in New York and the Flood Wall Street protest, the United Nations hosted a Climate Summit in New York on the 23 September 2014. The event was intended to be a catalyst for the development of a binding, fair, and ambitious international agreement upon climate change. Dr Matthew Rimmer writes about his experiences of being in New York at an historically important moment. Global climate change is the challenge of our generation. New Yorkers are facing the risks of rising sea levels, increased temperatures and heat waves, and increasing frequency of intense storms. The damage caused by Hurricane Sandy in 2012 provided tragic evidence of these risks. Almost two years later, we are still recovering. Globally, rising sea levels will flood coastlines, droughts will disrupt livelihoods, and storms and other extreme weather will threaten lives and economic development. We are faced with an existential threat, and inaction is not an option. Rajendra K. Pachauri, Chairman of the Intergovernmental Panel on Climate Change (IPCC) also address the Opening Ceremony of the United Nations Climate Summit. He presented a summary of the IPCC’s Fifth Assessment Report. Our time to take action is running out. If we want a chance to limit the global rise in temperature to 2 degrees Celsius, our emissions should peak by 2020. If we carry on business as usual, our opportunity to remain below the 2-degree limit will slip away well before the middle of the century. More over, the longer we wait the higher the risk of severe, widespread and irreversible impacts. Food and water shortages. Increased poverty. Forced migrations that could increase the risk of violent conflict. Extreme droughts and floods. The collapse of ice sheets that flood our coastal cities. And a steady rise in our death toll, especially among the world’s poorest How on Earth can we leave our children with a world like this ? In his address to the United Nations, Climate Reality leader Al Gore cited Wallace Stevens: ‘After the last no comes a yes, and on that yes, the future world depends.’ He was confident that we can solve the climate crisis. Major industrialized nations including Mexico, South Korea, members of the European Union, the United States and even China — the world’s largest greenhouse polluter — have committed to reducing their emissions and investing in clean, renewable energy. Moreover, the rapid spread of much cheaper solar and wind energy technology is empowering citizens to dream of and assert their independence from dirty fossil fuels. These factors, combined with an inspired group of citizen leaders, are opening the next chapter of the climate crisis. We have entered a period of consequences, but we are also now entering a period of hope. A number of Millennials posed ‘Why/ Why Not?’ questions in videos to the United Nations summit. This was a powerful means of communicating the concerns of young people from around the world about runaway climate change. As an actor I pretend for a living. I play fictitious characters often solving fictitious problems. I believe humankind has looked at climate change in that same way: as if it were a fiction, happening to someone else’s planet, as if pretending that climate change wasn’t real would somehow make it go away. But I think we know better than that. Every week , we’re seeing new and undeniable climate events, evidence that accelerated climate change is here now. Leonardo di Caprio emphasized that climate change was not rhetoric or hysteria: ‘It is fact’. He commented: ‘The scientific community knows it, Industry and Governments know it, even the United States military knows it.’ Leonard di Caprio told the Climate Summit: ‘You can make history … or be vilified by it’. Leonardo di Caprio emphasized that ‘renewable energy is not only achievable but good economic policy’. He observed: ‘New research shows that by 2050 clean, renewable energy could supply 100% of the world’s energy needs using existing technologies, and it would create millions of jobs’. To conclude the opening ceremony, Kathy Jetnil-Kijiner from the Marshall Islands warned of the impact of climate change upon small island states: ‘We deserve to do more than just survive. We deserve to thrive.’ She delivered a moving poem to her daughter — lyrically expressing the profound impact that climate change would have upon future generations. The United Nations Secretary-General emphasized that ‘Mobilizing sufficient public and private funds for low carbon, climate resilient growth is essential to keep within a less than 2 degree Celsius pathway’. Of particular importance is the capitalization of the Green Climate Fund. India made a notable contribution, by recommending that the Green Climate Fund enable the acquisition and licensing of intellectual property rights. The United Nations Secretary-General was a strong advocate of carbon pricing: ‘Putting a price on carbon will provide markets with the policy signals needed to invest in climate solutions.’ Given this theme, it is little wonder that the conservative Australian Prime Minister Tony Abbott declined to attend, given that his signature policy has been to repeal a carbon price in Australia. The United Nations Secretary-General hoped: ‘As we look forward to Lima, later this year, and Paris in December 2015, let us look back on today as the day when we decided – as a human family – to put our house in order to make it sustainable, safe and prosperous for future generations.’ He was optimistic about that ‘today’s Summit has shown that we can rise to the climate challenge’. However, some called for greater ambition for climate action. The Elders called for greater commitments from member states. Leaders such as Mary Robinson, Kofi Annan, Gro Harlem Brundtland, and Ernesto Zedillo called climate action ‘now, not tomorrow.’ Graça Machel, a former politician from Mozambique, and the widow of Nelson Mandela, commented: ‘There is a huge mismatch between the magnitude of the challenge and the response we heard here today.’ She suggested that ‘the scale is much more than we have achieved.’ A number of civil society groups — such as 350.org, the Friends of the Earth, and the Sierra Club — remained of the view that community movements needed to apply pressure to politicians to ensure that they would honour their commitments, and show transformative leadership. 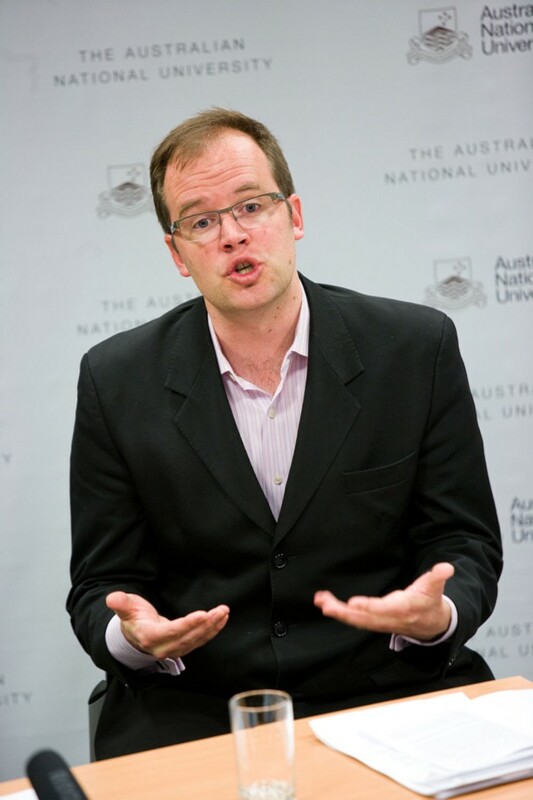 Dr Matthew Rimmer is an Australian Research Council Future Fellow, working on Intellectual Property and Climate Change. He is an associate professor at the ANU College of Law, and an associate director of the Australian Centre for Intellectual Property in Agriculture (ACIPA). He holds a BA (Hons) and a University Medal in literature, and a LLB (Hons) from the Australian National University, and a PhD (Law) from the University of New South Wales. He is a member of the ANU Climate Change Institute. Dr Rimmer is the author of Digital Copyright and the Consumer Revolution: Hands off my iPod, Intellectual Property and Biotechnology: Biological Inventions, and Intellectual Property and Climate Change: Inventing Clean Technologies. He is an editor of Patent Law and Biological Inventions, Incentives for Global Public Health: Patent Law and Access to Essential Medicines, and Intellectual Property and Emerging Technologies: The New Biology. He has published widely on copyright law and information technology, patent law and biotechnology, access to medicines, plain packaging of tobacco products, clean technologies, and traditional knowledge. His work is archived at SSRN Abstracts and Bepress Selected Works. A version of this article first appeared here. Thanks to Matthew Rimmer for permission to repost.